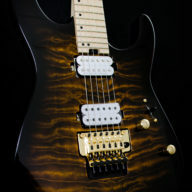 Eastport Music Scene is proud to present the Charvel Pro-mod So-Cal Style 1 2H FR in Metallic Black. 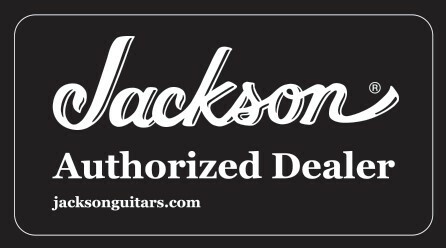 This guitar plays unbelievably well with a 2-piece beautiful maple neck with a 12-16″ compound radius and rolled fingerboard edges, this neck will have you zipping around with ease. 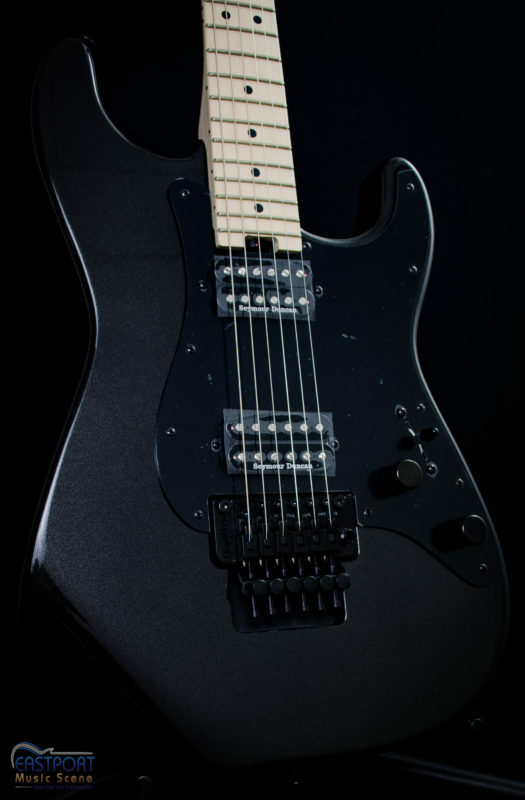 Sporting Seymour Duncan TB-6 (in the bridge) and SH-6N (in the neck) humbucking pickups. 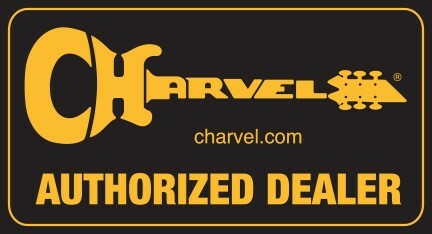 The tone is aggressive, full, and definitive! If you want a strat sound too, you can coil tap each pickup. The volume knob is push/pull and the tone knob is no-load. What that means is, in position 10 on the tone knob it removes itself out of the circuit for increased output. 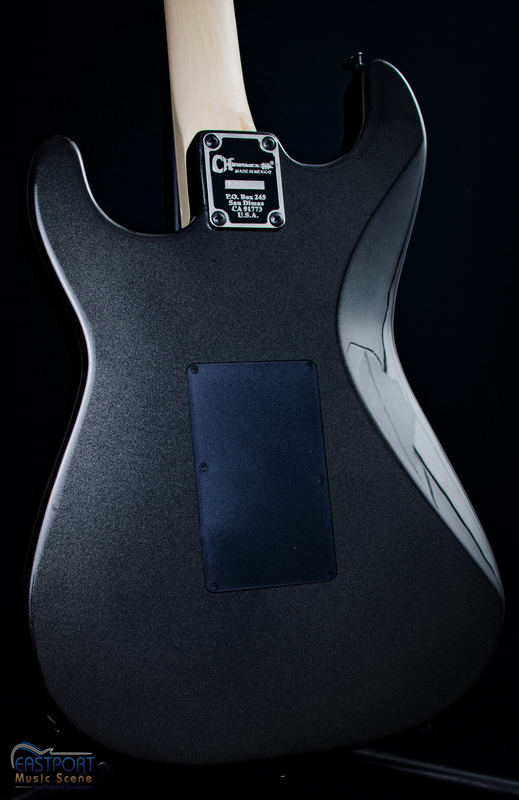 It lets the pickup’s full natural voice shine through. 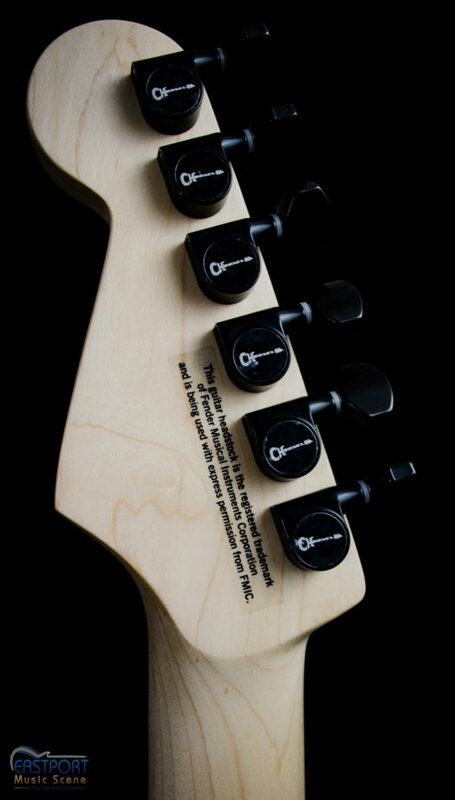 The bridge system is a Floyd Rose FRT-O1000 double-locking recessed tremolo with a locking nut. 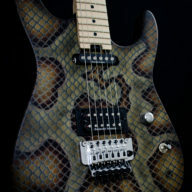 Everything you would expect from a Professional model, Southern California (Pro-Mod So-Cal) Charvel. 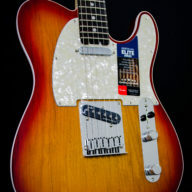 This guitar is in perfect condition, plays amazing, and sounds incredible.